Add the perfect accessory to your outdoor space with the Galtech 11-ft. Aluminum Maximum Shade Deluxe Auto Tilt Outdoor Umbrella. This extra large octagonal shade is perfect for your larger outdoor tables or deep seating area. Choose from several fashionable finishes for your aluminum pole and from a rainbow of colors for your shade made from premium Sunbrella and Suncrylic fabrics. 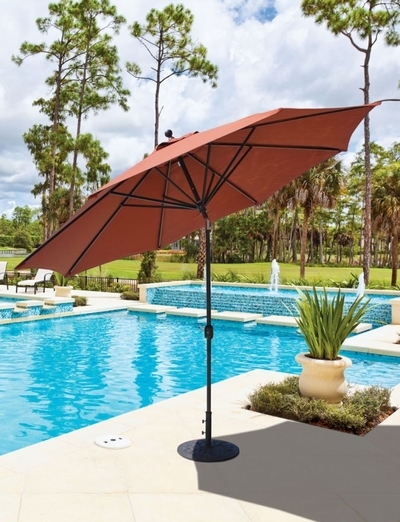 This umbrella opens easily with a crank lift and features an auto tilting mechanism to maximize your time in the shade. Add this luxurious outdoor umbrella to your open-air space and just sit back and enjoy the view.